The Legislature passed a bill April 11 that extends legal immunity to certain law enforcement employees who deal with drug overdose victims. A 2015 bill passed by the Legislature exempts an individual from prosecution who prescribes or dispenses naloxone to a person experiencing an opioid-related overdose. Naloxone is a medication that reverses the effects of opioids. 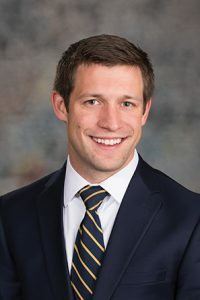 LB923, introduced this session by Lincoln Sen. Adam Morfeld, adds law enforcement employees to the list of people who receive such an exemption. The bill defines law enforcement employee as an employee of a law enforcement agency or agency contractor, or its employee, who regularly handles, processes or is likely to come into contact with evidence or property containing opioids. Further, the bill clarifies that a minor who reports a possible alcohol overdose is legally immune only if he or she makes a good faith request for emergency medical assistance. The person experiencing the overdose also is legally immune. The bill eliminates a provision in statute that the minor be the first person to call for assistance to qualify for immunity.